Big news for Saint Mary’s Huskies soccer fans. The HFX Wanderers FC have added Saint Mary’s goalkeeper Christian Oxner to their roster. Oxner, is putting pen to paper to become an official Wanderers player after being chosen by the club at the CPL-U SPORTS draft last November. “Christian is another player who has worked tremendously hard to get where he is, he deserves this opportunity,” said Wanderers coach Stephen Hart. Halifax-born Oxner said he was expecting to fight for a spot on the Wanderers squad in preseason trials, until Stephen Hart called him with the offer he had been dreaming of. “It feels good, I was so glad to get drafted but now I’m getting the chance to represent the city I grew up in so now I can play with freedom and I’m excited,” he said. Oxner grew up in Clayton Park and played for local team Dunbrack as a youngster, before establishing himself as one for the future while playing for Saint Mary’s Huskies and Western Halifax FC. He was a big part of the dominant Western Halifax FC team that won three provincial championships and a national title, which Hart has also been impressed with. Now he’s looking forward to playing in front of his family and friends at the Wanderers Grounds, as well as being an example to potential future stars in the Halifax region. Read more about the signing of Christian Oxner and Alex De Carolis at the Halifax Wanderers website. “Johneil Johnson chased his basketball dream down the road. But that trail only showed him how much he missed home. The guard from Lake Echo, N.S., left the Regina Cougars after a strong season in 2016-17, sitting out a season to decide his next move. He committed to Jonah Taussig's Saint Mary's Huskies last Christmas. The three-time NSSAF provincial champion with the Auburn Drive Eagles doesn't regret where he's been since graduating from high school. There was a prep school in Las Vegas, then another in North Carolina, before settling into Canadian university sport with the Cougars. He had an NCAA dream, hoping to land a Division I scholarship. There were some Division II schools interested and some junior colleges, but that was it. 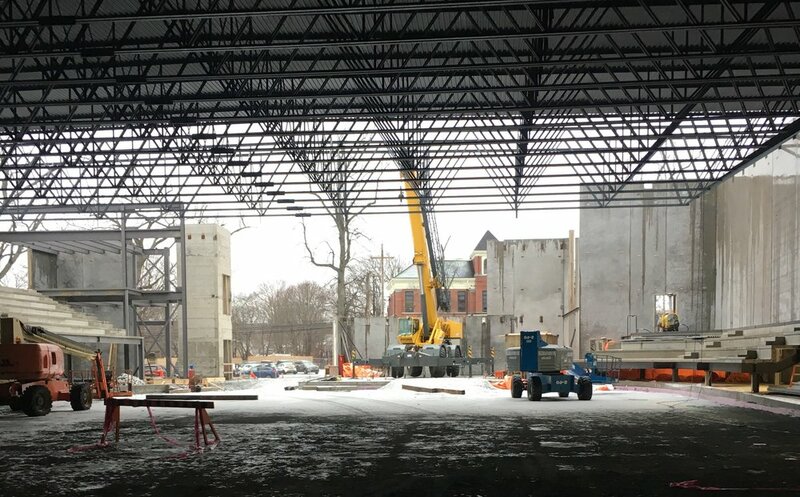 As we say goodbye to 2018 and hello to 2019, The Dauphinee Centre continues to make great progress towards its opening for the 2019-2020 varsity hockey season. The exterior walls are in place, and work is underway on both the inside and outside of the structure. By the end of 2018, the steel roofing will be in place, and in early 2019, more roofing material will be added to ensure it is weather tight. The last of the major tenders for the project will soon be awarded. The tender will include the rink boards, glass, flooring and the maroon seating for spectators. Preparations have begun for the mechanical equipment required for refrigeration as well as for the new zamboni and scoreboard. While varsity sport has always been an important part of the university, it’s expected that a new on-campus arena will bring even more interest. “Anyone who enjoys SMU Huskies hockey, should buy their tickets as soon as possible because tickets to The Dauphinee Centre are going to be hot commodities,” added Schmeisser. 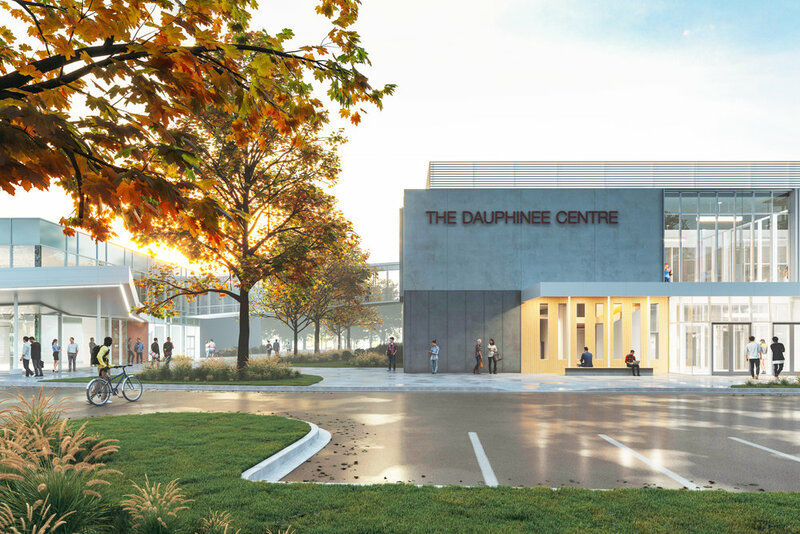 The Dauphinee Centre is named in honour of the late Bob Dauphinee, a Saint Mary’s alumnus and community champion, who donated $2 million for an arena through his estate. The Dauphinee Centre will feature an NHL-sized ice surface with seating and sightlines designed to enhance the fan experience. The centre will have seating for 850 fans with ample standing room that brings the capacity to more than 1200 people. The building is fully accessible with an elevator between floors and six accessible changing rooms for visiting teams, community-based recreational sports groups and summer camps. Visit news.smu.ca/arena to learn more. 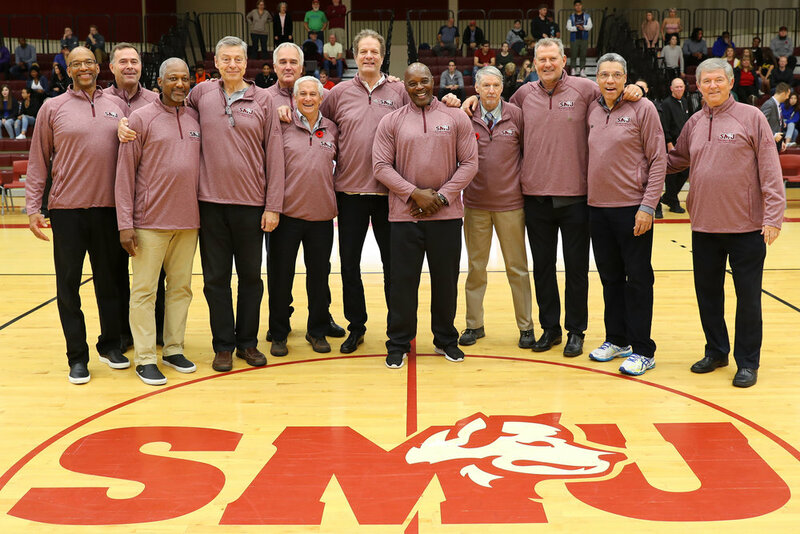 Members of the Saint Mary’s Huskies 1977-78 Men’s Basketball Team. In photo: Head Coach Brian Heaney, Assistant Coach Willie Follette, Managers, John Landry and Calvin Smith, Trainer Richard Bishop and the players, Ron Blommers, Bruce Holmes, Tom Kappos, Derrick Lewis, Ross Quackenbush, Roger Tustanoff, Mike Solomon, and Frank White. It was a packed house with 11,000 fans jammed into the newly-minted Metro Centre in downtown Halifax in 1978. Two Nova Scotia university basketball teams were locked in a pitched battle to win the national championship. Fans were divided with half cheering for Saint Mary’s Huskies and the other for the Acadia Axemen. Both teams were stacked with talent, spirit and a hunger for victory. Acadia took the lead early in the game, but Saint Mary’s fought back and defeated their opponents to win the CIAU title 99-91. On Friday, Nov. 2, the 1977-78 Men’s Basketball Team was inducted into the Nova Scotia Sport Hall of Fame, 40 years after a victory that will go down in history as one of the most exciting university sporting events in Canada. All but a few of the team members returned to Halifax from all over Canada and the US to receive their honour at the Halifax Convention Centre. They were presented with their honour by Owen Carrigan, who served as President of Saint Mary’s University that year and Doug Wright, a long-serving member of the Saint Mary’s Sport Hall of Fame Committee. Even 40 years later, players and fans remember that night. Saint Mary’s was the host team and seeded last. The magic ignited when they defeated the top-ranked Manitoba Bisons (92-81) who were favoured to win the championship. In the next round, they beat the University of Victoria Vikings with a score of 82-79. That earned them a spot in the final against the Acadia Axemen. It was a grudge match and a showdown of hometown rivals, according to player Rick Plato. “If you wrote it up for a movie you wouldn’t believe it. We were two power houses, tough, determined, confident skilled and talented,” he said. With a victory and winning score of 99 points, they set the record for most points scored in a final game. That record was not broken until 2016. That game and season didn’t just change varsity basketball in Canada. It changed the lives of certain players too. Player Ross Quackenbush, who later went on to coach men’s varsity basketball at Saint Mary’s, called that night the highlight of his career. Looking back at pictures, he laughs about the styles of 1978. Whatever the fashion, that night was all about basketball. Player Ron McFarland received the Most Valuable Player award, finishing with 38 points. The Saint Mary’s team were victorious in a game that will never be forgotten by either team or the 11,000 fans. The Saint Mary’s team were: Ron Blommers, John Brown, Bruce Holmes, Derrick Lewis, Tom Kappos, Ron McFarland (MVP) Rick Plato, Ross Quackenbush, Art Screaton, Mike Solomon, Roger Tustanoff, Mark Vickers, and Frank White; (Coaches) Brian Burgess, Brian Heaney, and Willie Follette; (Managers) Hector Corkum, John Landry, Calvin Smith and Allan Wentworth; (Trainer) Richard Bishop; and, (Team Doctor) Dr. David Petrie Sr.